Important Note: There will be one (1) counseling session per week. Each session will last 1.5hrs and will cost $75.00. A $2.55 charge will be added to cover electronic payment processing fees (if applicable). This fee will be due no later than the day before the scheduled onsite and/or video counseling session. We will be in touch with you shortly to schedule your first session. Important Reminder: There will be one (1) counseling session per week. Each session will last 1.5hrs and will cost $75.00. A $2.55 has been added for electronic processing fees. This fee will be due no later than the day before the scheduled onsite and/or video counseling session. 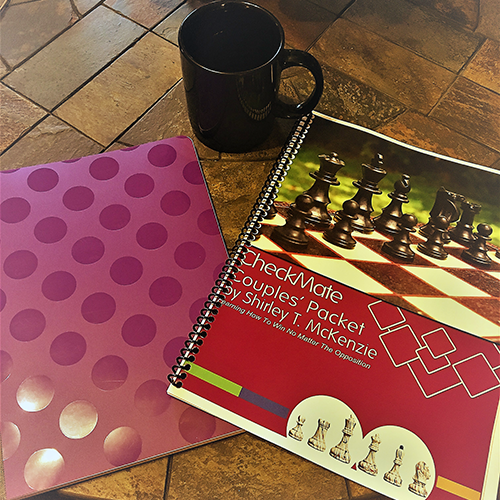 Important Note: The Couples' Packet includes two (2) CheckMate Lesson Guides. A $2.50 charge has been added to cover electronic payment processing fees.